On this day, June 4, 1951, author and illustrator Wendy Fletcher Pini was born in San Francisco. Influenced by English Victorian illustrators, Walt Disney, Jack Kirby, and Japanese manga artist Osamu Tezuka, Fletcher worked and a sci-fi illustrator. 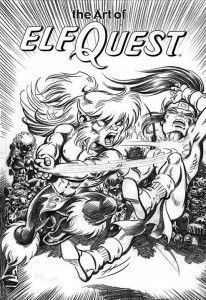 With her husband Richard Pini they have produced Elfquest series of comics and graphic novels.